Serve these tasty baked chicken legs with a rice and vegetable pilaf or fries and sliced fresh tomatoes. These are easy to prepare and bake, perfect for an everyday family meal. You can use shredded Parmesan cheese in the recipe, but a good quality fresh grated Parmesan would be delicious as well. Don't have fine dry bread crumbs? They're easy to make with sliced bread! See the tips and variations below the recipe instructions. Grease a 9-by-13-inch baking dish or spray with cooking spray. Combine butter and lemon juice; brush chicken pieces all over. Sprinkle with the seasonings. 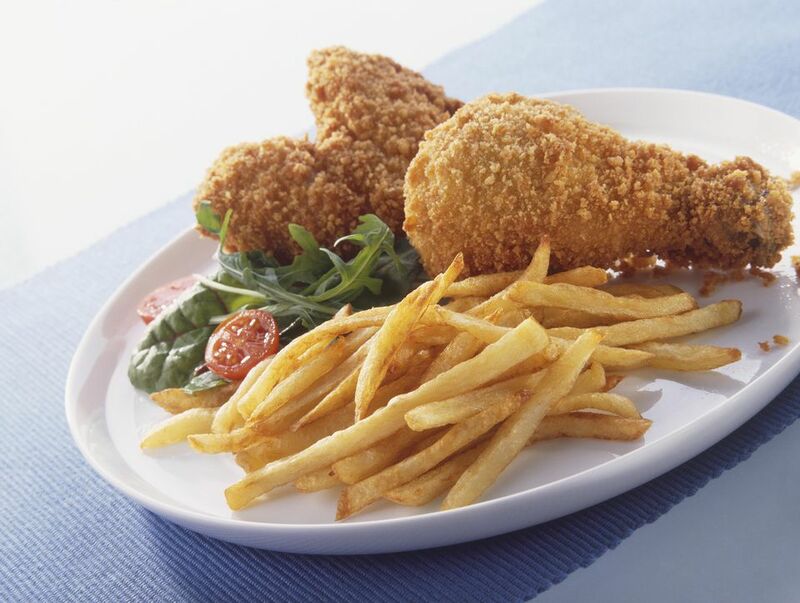 Combine bread crumbs and Parmesan cheese in a shallow dish; coat the chicken pieces thoroughly. Arrange chicken pieces in the baking dish and sprinkle with the remaining crumbs; drizzle with any remaining butter mixture. Bake in the preheated oven for 45 to 55 minutes, or until the chicken is browned and juices run clear when pricked with a fork. The minimum safe temperature for chicken is 165 F.
Put the breaded chicken on a rack and let it dry for about 5 minutes before you arrange it in the baking dish. This will help keep the breading from sticking to the pan or falling off the chicken legs. To make fine dry bread crumbs, cut or tear a few slices of bread into pieces and bake in a 325 F oven for about 12 minutes, or until dried and browned. Crush in a plastic bag with a rolling pin or process in a food processor until fine.